Schitt’s Creek, the critically acclaimed comedy co-created by Eugene Levy and Daniel Levy, follows a wealthy family who suddenly find themselves broke and forced to live in Schitt’s Creek, a small town they once bought as a joke. The series features comedy legends and Emmy® Award-winning actors Eugene Levy, Catherine O’Hara, and Chris Elliott, alongside breakout stars Daniel Levy, Annie Murphy, and Emily Hampshire. 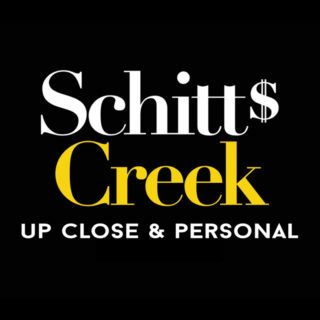 Commissioned by CBC, SCHITT’S CREEK is produced by Not A Real Company Productions Inc. and created by Eugene Levy and Daniel Levy. The series is produced in association with CBC and Pop TV and distributed internationally by ITV Studios Global Entertainment.